Amazed to see the rapid rise of Formula One in India, McLaren driver Lewis Hamilton said the F1 race here could become one of the best of the year given the country's potential. "It is amazing to see the rise of India in Formula One. 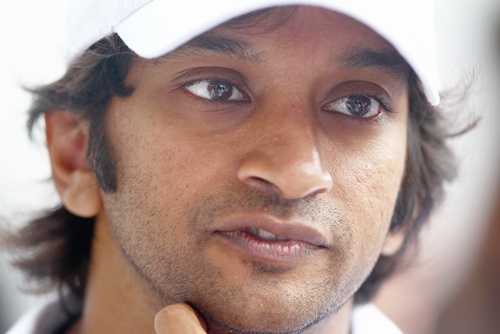 From a driver (Narain Karthikeyan), to a team and then a Grand Prix in a matter of few years shows the potential of the country," the 2008 F1 champion said. "I am amazed at the development and rise of Formula One in India in a matter of a few years. India will become a major destination on the F1 calendar in the coming years," he said. Inspired by the vibrant colours of India, Hamilton will be sporting a specially designed helmet during the Indian GP. "I try and play with the design of my helmet in a few races around the year. Be it the first race of the season, or Monaco, Silverstone or the season-ending Brazil GP. Indian GP is a very special race for me and hence I have designed a special helmet. "It has the 'Holi' effect with different colours like the beautiful and colourful festival in India and also has a special message in Hindi meaning 'Believe in yourself enough' and 'anything is possible'." Hamilton felt that Narain Karthikeyan's move to Force India would do wonders as he is presently driving a slower car in HRT. The Brit said the Indian driver has not been able to drive a competitive car until now due to which he has not secured any good results. "Not all drivers get fast cars. But, if Karthikeyan were to get to race for Force India, just like I drive for a British team, it can work wonders and do great for both the driver and the car." 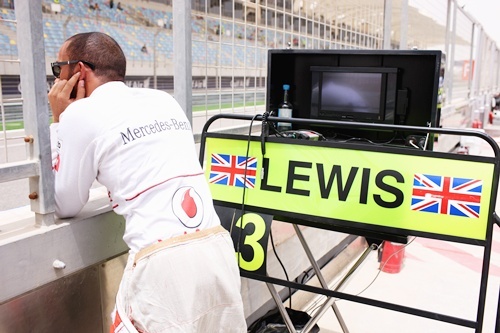 Hamilton is disappointed at how the season has panned out for the Woking-based Mclaren outfit so far. "It has been a struggle this year for us. In the first part we faced a lot of problems with the pit stop while in the second half we have struggled with the tyres," Hamilton said. 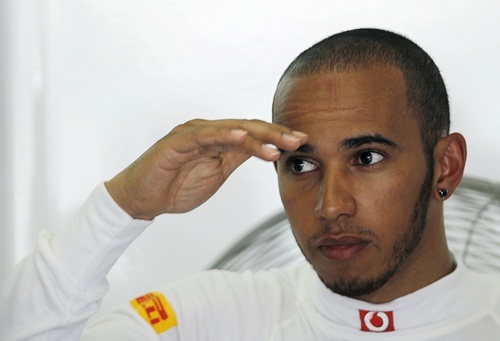 Hamilton is fourth, 62 points behind Vettel who is at the top while Ferrari's Fernando Alonso is six points behind him. McLaren have slipped to third in the constructors' standings -- six points behind Ferrari and 83 points adrift of leaders and defending champions Red Bull. "We are hoping to salvage things and fight for the Constructors' title till the very end. 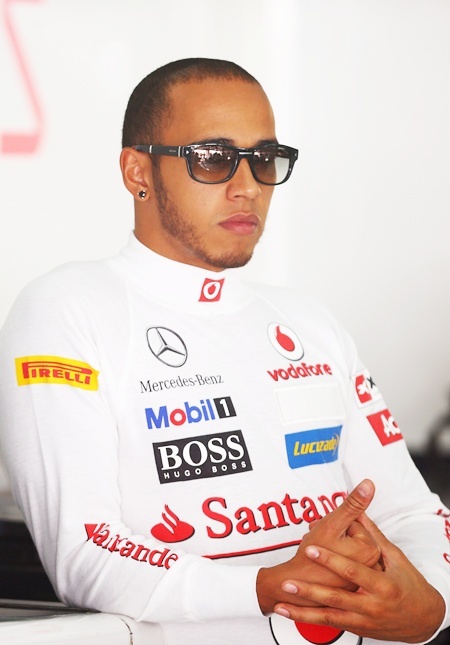 It is difficult but it can be done," said a positive Hamilton. On the question of replacing the legendary Michael Schumacher in the Mercedes team, he feels that those are very big boots to fill. "Michael has been a phenomenon. He is a legendary driver and I am looking to continue the good work with the German team." Leaving a team that he had been with since when he was 13, was not easy for the Brit. "It was a tough decision to leave a team with which I have been since I was a teenager. But, these things happen and who knows maybe someday before I end my career I might even be racing in a Ferrari car!" Praising Championship leader Sebastian Vettel and Red Bull engineer Adrian Newey, Hamilton said "When I won the world championship, I wasn't as lucky as Sebastian, who has got a ridiculously fast car. "Adrian has done something tremendous with his car. It will help him to be dominant the next year as well," Hamilton said of the 25-year-old German who is chasing a third championship in a row. "As for me, for the rest of the year now it's just to try and help the team win the constructors' championship," added Hamilton. F1 boss Bernie Ecclestone recently said that Hamilton joining Mercedes team is an "inspired" move and will motivate the German outfit to raise themselves tremendously. Hamilton feels that "the new challenge at Mercedes is an important step in my career and racing with my close buddy Nico Roseberg is an added benefit." He feels proud to have played a part in making F1 a complete sport which has a place for everyone in it. F1 was an all 'white' sport before Hamilton became the first coloured driver to race. "It is great if I have managed to break the barrier and do something like what Tiger Woods did for golf. I have played my own part in it and am happy with the achievement. "Very few sportspersons are so privileged to have an impact on the game they play and if I have managed to do something like that, it is an honour for me." With a packed schedule, Hamilton rarely gets to follow other games, but he likes tennis and cricket. "I am a fan of West Indies cricket team and I am amazed by the Indian cricket team who have such excellent batsmen in the team." McLaren last won the constructors' title in 1998, although they would have won the 2007 championship had the team not been stripped of all their points for a scandal involving leaked Ferrari data in their possession. "To go out on a high and help the team win the championship like that would be fantastic," Hamilton said.